We researched extensively for positive Year in Review highlights and what came up: mostly negative, disasters, natural catastrophes and fake news. So we decided to give you a finale 2016 round up of the most incredible talk-worthy, notable events we could find. 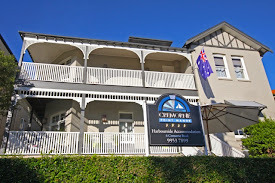 Ending December on a positive note is what our team at Cremorne Point Manor is all about. Enjoy what our planet discovered, created, invented and published during the past 365 days! In January, water ice was confirmed on the surface of comet 67P while the Jason-3 Earth observation satellite is launched. On a separate, incredible note, researches demonstrate a new class of small, thin electronic sensors that monitor skull temperature and pressure, within the brain surgery realm. This melts away when no longer needed eliminating the need for additional surgery. Within this same topic, a successful head transplant on a monkey, by Chinese scientists, is reported. The University of Southampton confirms a major step in creating 5D data storage that can survive (wait for it) billions of years. Around the same time, paleontologists report the discovery of a pregnant Tyrannosaurus rex, giving more insight into the evolution of egg-laying and gender differences in this dinosaur. Caffeine lovers: By Spring, the University of Southern California confirmed that drinking moderate coffee daily can reduce the risk of developing colorectal cancer. While you’re sipping away, account that a quadriplegic man in Ohio performed complex functional movements in his fingertips after a chip was planted in his brain. And while you gulp that amazing fact, astronomers reported the discovery of Crater 2 - the fourth largest satellite galaxy of the Milky Way. By midyear, Dutch scientists announce that crops of four vegetables and cereals grown in soil (similar to that on Mars) are safe to eat. Who knew? And while we’re on hot news, NASA reported July 2016 was the hottest single month in recorded history (dating back to 1880). Even hotter news: the world’s oldest known fossils are claimed to have been discovered in southwest Greenland, dating back potentially 3.7 billion years. Unless you were hiding under a rock, on 14th November, the supermoon visited Planet Earth, the first full moon closest to us than any since 1948. It was huge! And keeping on the same universal realm, according to SpaceX program, human trips to Mars by 2022 are potentially possible. We wish you a fantastic December full of celebrations and make that resolution to come visit Cremorne Point Manor in 2017 if you’re not already booked to stay with us this month. The views are also out of this world as you can see from our short video. Enjoy and pop that champagne cork – we have the best views of the New Years Eve Harbour fireworks! The Chinese New Year in January featured the Year of the Monkey. We’re now heading to the Year of the Rooster so beware of that (natural) early morning wake up call. Then there was the LGBT Bridge Climb event, with full rainbows adorning the famous Sydney Harbour Bridge, followed by another topic completely unrelated: The Dog Lovers Canine Race. Did you bring your four legged pal with you to see if Fido wins the gold? If not, there’s time for training to gear up for 2017’s galloping festival. If you’re a Ben Stiller fan, you wouldn’t have missed our Dodgeball Launch party blog post in March – the rules are there to be broken and may the best wo/man slam the last ball. If May was bringing you the pre summer blues, the Bondi Belly Laugh blog post was sure to warm your heart and if you were up for making your credit card cry with a thank you, the Kirribilli Market (thrifty spending) blog post ensured you’d not be melting your monthly statement when it was due for payment. How about you fitness fanatics that love marathons? Team in Training will be back again mid next year for the Blackmores run. Six months is more than enough time to get those running shoes on and build up stamina. If the marathon is too much for you, we featured the Sprint & Splat Color Run festival where no one will judge you on whether you walked or galloped. They’d be more interested in exactly how many colours you were spray painted with, on the way to the finishing line. By July, Cremorne Point Manor was featured in Expedia’s Australia blog and that made our team happy campers! On that note, did you read our September blog post about Paws & Pals Adventure Weekend? Grab that waggy tail and meet other locals & tourists while you spend time with nature in more of a clamping fashion. Yes, we actually encouraged you to turn off that smartphone button and hug a tree while your BFF watered it. Then it came to the last trimester of the year with Campbeltown’s ghost stories (they’re true, we believe it) and the annual Horror Film Festival just before Halloween. With a swift topic switch, we moved right to the magical history of Australian Christmas traditions in a two part blog series. For locals, it’s worth the read to discover why and how certain traditions were created, and also accelerate you for a year end full of celebrations. And now we’re about to embark on our last blog for the year so stay tuned…. We’re sure you’re inundated with Christmas and New Year activity celebration plans so we’re jumping right to February 10th as a date to lock in your Sydney diary. It’s something to look forward to in 2017 so you can speed right through murky January and be inspired by Telluride MountainFilm: a festival of stories, ideas, people and aspirations all focusing on incredibly advanced solutions for our potentially livable world in the future. The festival runs a series of high energy movies, all narrated to follow the topic of adventure. Nonfiction movies will focus on climbing, political & social justice issues, the environment and culture. These amazing documentaries run way ahead of the average docudrama as they bring together narrations by global figureheads – from change makers, to visionaries and award winning athletes. Each festival around the globe, Sydney included, will feature gallery walks, outdoor programs & presentations, interactive talks and open-discussion free community events. The Aussie leg of the festival’s world tour will be launched at the St George Open Air Cinema. With a mind-blowing, visual backdrop spanning the Harbour Bridge, Sydney Skyline and Opera House, the festival will take you to new adrenaline heights. Telluride Mountain Fest tickets will be on sale from 12th December and it’s a first come, first best-seating set up. The prices have not been published yet but if you check their ticket page and love what you’re seeing, remember to follow the festival through Adelaide, Melbourne, Brisbane, Canberra, Newcastle, back to Sydney again and get your tickets for the Hayden Orpheum Cremorne Picture Palace (right by our Cremorne Point Manor Lodge)…then through Queensland and Wollongong. From January 27 to February 12th the Lunar New Year Festival will feature over 80 events for one of NSW’s most glorious and globe attracting festivals: Sydney’s Chinese New Year Celebrations. Most of the exhibitions and entertainment are free, alongside seeing the hugely popular Dragon Boat Races in the Harbour. Boats are 12 meters long with up to 20 paddlers and the drums will be banging as they speed to the finishing line. Want to know the full Chinese New Year scoop? Let’s get started! This is the city’s 21st anniversary and for 2017, the Year of the Rooster will ensure you’re up at the crack of dawn to check out the massive Lunar Lanterns, representing all animal’s in the zodiac. Attracting over one million people, the Sydney event is the largest outside of China. So if you want to find your animal zodiac, remember to scout around the lanterns and hunt for the rat, ox, tiger, rabbit, dragon, snake, horse, sheep, money, dog, pig and obviously the crème de la 2017 crème….rooster. Last year, major landmarks were illuminated red, the Chinese symbol for luck and prosperity. To date, the organizers are yet to promote the full line up schedule but we do know there will be a ton of pop up food festivals, street food markets and a city swaddled by Chinese lanterns. The Dragon Boat racing has become an institution of China for over 2000 years and classified as an international sport. Taking place around Cockle Bay Wharf in Darling Harbour, the crowds will be multiple layers knee deep, cheering on the racers. Once you’ve screamed yourself hoarse, you can head into Darling Harbour for the Chinese Garden of Friendship. There will be a multitude of workshops, tours and demonstrations taking place, to educate you on the Chinese culture and history over this two week period. And if you want music to your ears, the Chinese Chamber Music Festival will entertain you with melodic tunes from both international and local artists within the gardens. Tai Chi classes will be available or try out acrobatic lion dancing (a symbol of good luck and fortune). If a tad of peace and quiet is required, the traditional tea ceremony in silence may be your calling. And for kids’ entertainment, they can learn how to make rooster inspired puppets in the Monkey Tales attraction…and take them home for keeps! There are admission fees for garden entry: from $6 for adults, $3 per child (under 12’s) and family, concession and senior packages. Take a ferry ride over that same race water in the Harbour and within 10 minutes, you’ll be at Cremorne Point. The only time you don’t want to be seeing red is if you check Cremorne Point Manor’s accommodation availability too late…and we’re booked up!